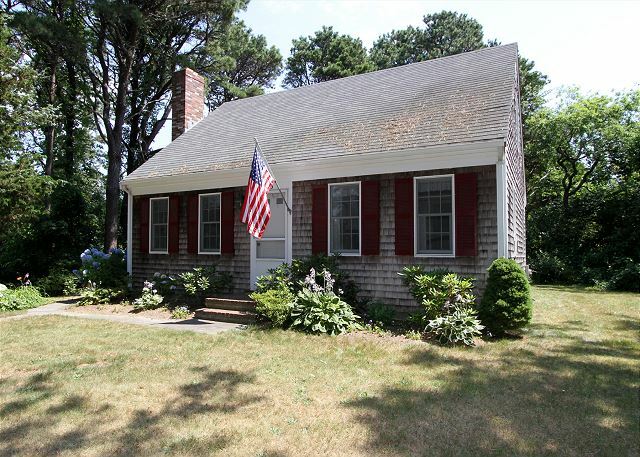 A charming 3BR/2BA plus den Cape style home with recent updates and on a quiet street just 9/10 mile to Nauset beach, while the warmer and calmer water of Skaket Beach (beautiful sunsets, great for small kids) is just on the other side of town on beautiful Cape Cod Bay. Enjoy this nice comfortable home equipped with a fully stocked kitchen, living area, den for watching TV with pullout sofa bed, and first floor bedroom with queen bed and full bath. 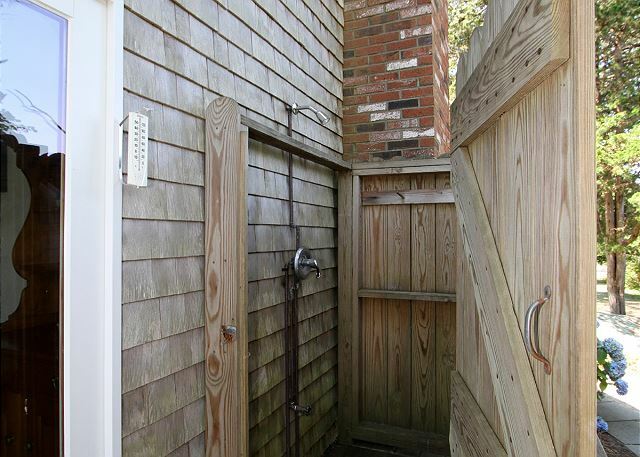 Second floor has two bedrooms with 2 twins in the first room and 1 full and 1 twin in the second room. A portacrib is also available for use. Relax on the deck and enjoy the summer breezes or take a short drive to East Orleans Village to listen to live music, enjoy our fine local theater, watch Cape League baseball under the lights, or savor a fine meal at any of the exceptional local restaurants. 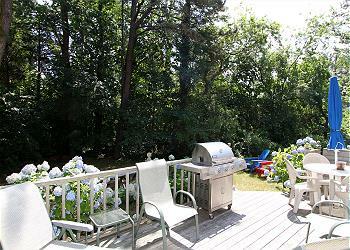 3 night minimum rentals in the off-season available at $350/night. $125 Administrative Fee,plus applicable state and local taxes . Linen package available for 8 for an additional cost of $260.00. Great location and setting. House was great and large enough for our family. We did have an issue with the Washer and Dryer not working as expected and the dehumidifier was not working so the house smelled of mildew. Downstairs shower needs new shower head it only spits a stream and hard to shower with. The washer and dryer and dehumidifier were looked at by property manager. Owner getting new washer but did not help with our week. We had a wonderful stay in Orleans. Great home with more than enough space. 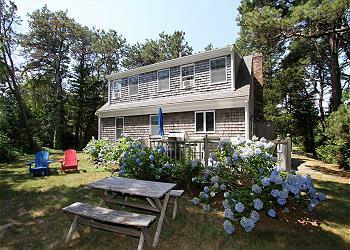 Walking distance to our favorite Nauset Beach. The kitchen was stocked but needs a new pot to boil water for pasta (the one with no handles is very dangerous) and they need a good set of everyday kitchen tongs. Other than that the home was perfect! 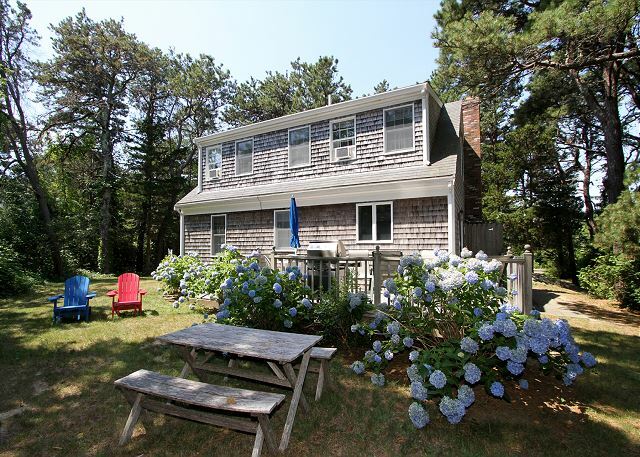 First time we’ve rented a home on the cape and so happy we choose this house. Location is great, home was well kept. It had everything we needed and it made the stay that much more enjoyable. Highly recommend this property! 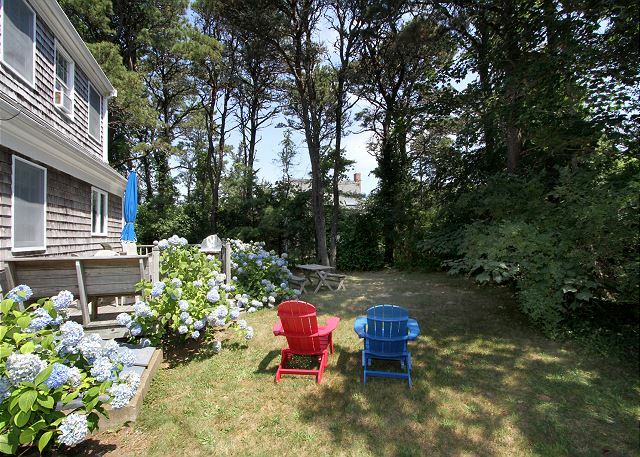 Nice 3 BR cape conveniently located between Nauset Beach and town. Comfortably furnished, clean, great bedroom air conditioners that cooled the whole house on the couple of hot and muggy days we experienced. A good value for the price. Out of all 9 rentals I've rented in the cape this rental was the best so far!! It was cute, private and met all are needs.